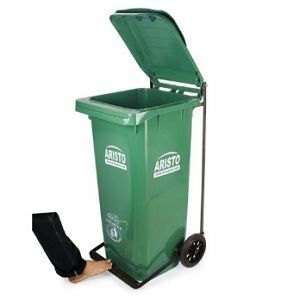 Wheeled waste bins also known as Wheelie Bins have become an important part of every household or apartment as it makes waste handling easy. With the start of the Swachh Bharat campaign, wheeled waste bins have become an important part of the waste recycling process. 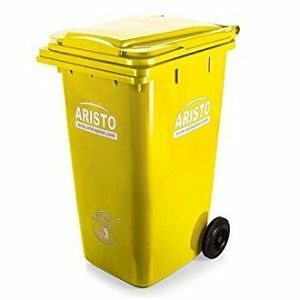 These bins are suitable for collection of general waste, organic waste, recyclable waste or pharmaceutical waste as they are manufactured from virgin grade HDPE. All wheeled bins come with reinforced bottom and bottom walls for added strength to prevent possible damage during movement or transportation. 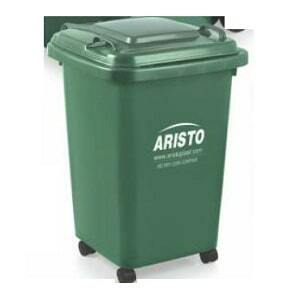 The key benefits of owning an Aristo or Sintex wheeled bins is its durability & low cost compared to other brands. 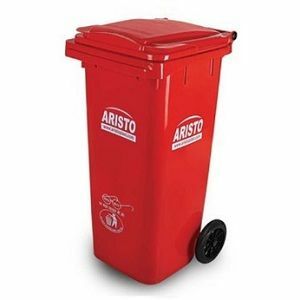 Description: 90 ltr 2 wheeled waste bins with lid for waste management in apartments, hotels, restaurants & factories. This model is also available with a pedal. 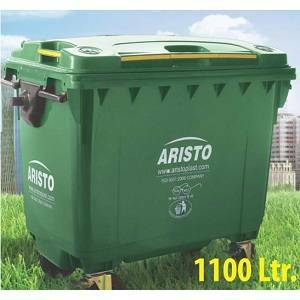 Description: 120 ltr 2 wheeled waste bins with lid for waste management in apartments, hotels & factories. This is a fast moving standard size model with sturdy build and strong wheels. This model is also available with a pedal. 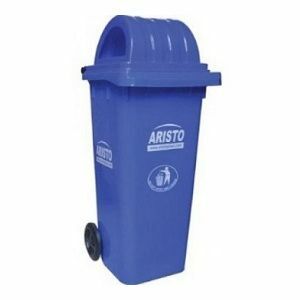 Description: 240 ltr 2 wheeled garbage bin with lid for waste management at apartments, hotels & factories. This dustbin follows the 120 ltr model in terms of demand. It is also available with a pedal. 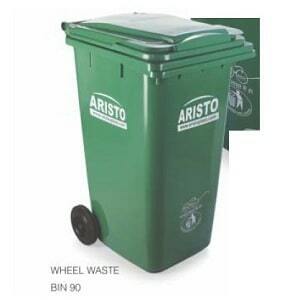 Description: 2 wheeled waste bins with lid and a pedal for hands free functioning. The pedal is also available in 90 litre and 240 litre waste bins. 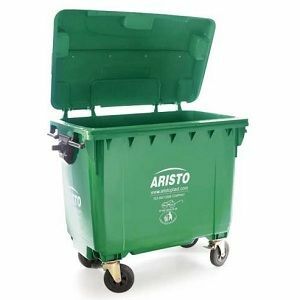 Description: Wheeled garbage bin with a dome lid for hassle free garbage drop and movement of the waste bin. The dome lids come with a 2 side opening. Description: 4 wheeled garbage container with lid for waste management at apartments, societies, hotels, factories & other big institutions. It is fixed with heavy duty wheels for easy movement on roads. Sturdy build for long last. Reinforced bottom and bottom walls for extra strength during rough handling and movement. Best in class and cost with low maintenance. Spare wheels, wheel rods and lids available as replacement.